We are offering Hydraulic Cylinders to our clients. Standrad ISO mounting and Customized mounting available. 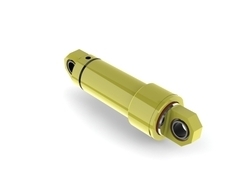 We are offering Hydraulic Cylinders For Mobile Applications to our clients. Usage: Construction & Mining Machinery, Transportation Equipment etc. We are offering Custom Hydraulic Cylinder to our clients. Internal or External, Reed switch, LVDT on order. We are offering Civil Engineering Hydraulic Cylinders to our clients. All Strandard and Customized mountings available. We are offering Steel Plant Hydraulic Cylinders to our clients. Piston Rod Materials: CK45, CK45 induction hardened, EN19, SS304, SS316 & other materials on request. 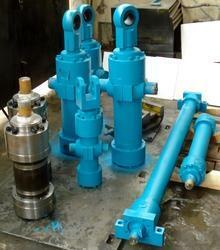 Looking for Industrial Hydraulic Cylinders ?